Eldorado Stone is proud of the selection of stone veneer we have to offer our customers, and one of the things we love most about stone is how versatile it is for remodeling indoor spaces. While stone is often considered an outdoor design element, you can create amazing accent walls using stone veneer from Eldorado Stone. An accent wall, as the name implies, has a little something special compared to typical walls. Adding stone to a wall inside your home automatically creates an accent wall. 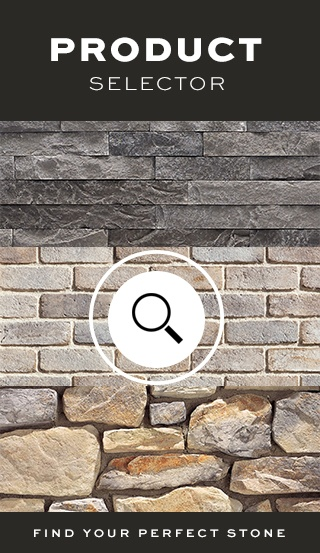 Visitors will see and comment on your stone wall as it becomes the focal point of any room. Depending on the stone you select, stone walls can blend into an environment or they can stand out from the surrounding elements (as shown below). You can create patterns of different profiles to create depth and interest. A popular choice is building framing onto an existing wall to make room for recesses. 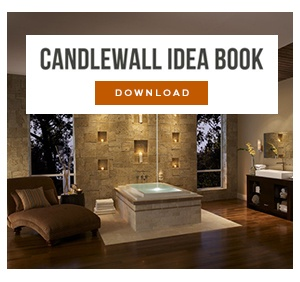 Our CandleWall is one example of a beautiful accent wall with recesses. Each recess holds a candle, creating an amazing display that is sure to catch the eye of everyone who wanders through the room. As you can imagine, constructing an accent wall requires an extra bit of effort on your part. In order to create the recesses in your accent wall, you’ll need to build additional framing and attach it to the existing wall. Standard wood stud construction using 2x4 or 2x6 studs works perfectly for stone accent walls. Once you’ve determined where you are going to install your new accent wall, prepare the area as you would for any remodeling project and build your framing. When building in recessed openings, as shown above, be sure to factor in the stone thickness when determining the size of your openings. Stone corners, which are 90 degree pieces and wrap from the wall face into the recessed opening, will shrink the size of the opening on each side by between 1-2.5", depending on the stone thickness. Design your openings larger with this in mind. Once the frame is complete, you will need to install plywood sheathing over the entire frame. The stone you choose and the grout technique (if applicable) you use are going to help make the accents in your new stone walls pop even more. If you’ve chosen to create an accent wall, you more than likely have an idea of the final design you're trying to achieve. Our CandleWall is a popular option, and you can also use your own creative flair and use your recesses and accents in other ways. Stone veneer looks beautiful in any type of interior space, so the possibilities are endless if you want to add stone walls to your home. 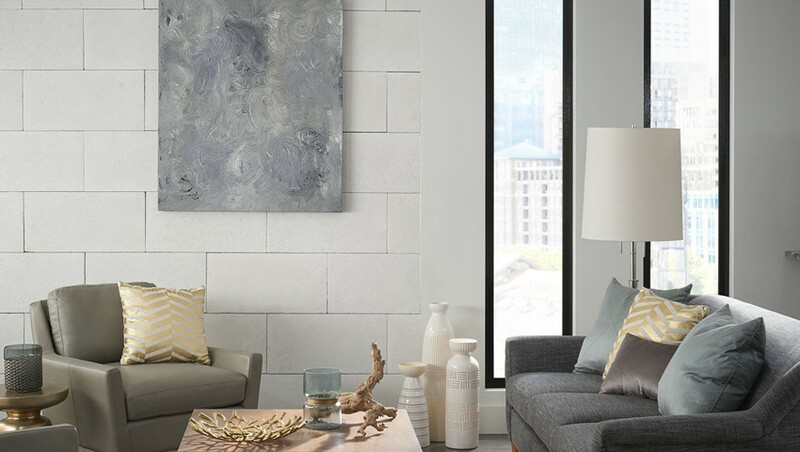 Consider the type of accent wall you would like to make, and visit us online for our complete installation guide or to order a sample of our stone to see how it looks in-person.